TORONTO-listed gold exploration firm, Sarama Resources, said it had agreed to terminate a earn-in deal with Acacia Mining over South Houndé in Burkina Faso – a gold property over which Sarama would now resume 100% ownership. In return for relinquishing the project, Acacia Mining has one less worry on its plate, and will receive potentially up to $4m in cash payments beginning with a $750,000 payment on completion of all the pertinent agreements cancelling the earn-in arrangement. Sarama will also grant Acacia royalty payments on gold production capped at one million ounces of gold at rates of between 1% and 2% at a gold price of the same or less than $1,300/oz and greater than $1,500/oz respectively. Finally, Sarama will grant Acacia warrants for common shares in Sarama, exercisable for five years totalling five million units. Some 2.5 million warrants will be exercisable at C$0.10 per share and a further 2.5 million warrants exerciseable at C$0.20 per share. “We are very pleased to have reached agreement with Acacia and are keen to resume management of the South Houndé Project on a 100% basis,” said Sarama president and CEO, Andrew Dinning in a company announcement. “This agreement is fundamental to consolidating our position in the southern Houndé Belt and puts Sarama on a solid footing to advance its interests towards mine development,” he said. South Houndé has an inferred mineral resource of 2.1 million oz of gold including some 0.6 million oz of oxide and transition material. The company said the aim was to put the prospect together with an existing property known as ThreeBee. Potential exists to expand the current oxide and free-milling inventories on each of the project areas, it said. Acacia has been stripping back its commitments as it focuses on trying to steer its way through a dispute with the Tanzanian government which claims it owes it $180bn in unpaid taxes, including penalties and interest. During the dispute, the Tanzanian government blocked Acacia from exporting mineral concentrate from its Bulyanhulu and Buzwagi mines effectively putting its cash flow in a throat lock. 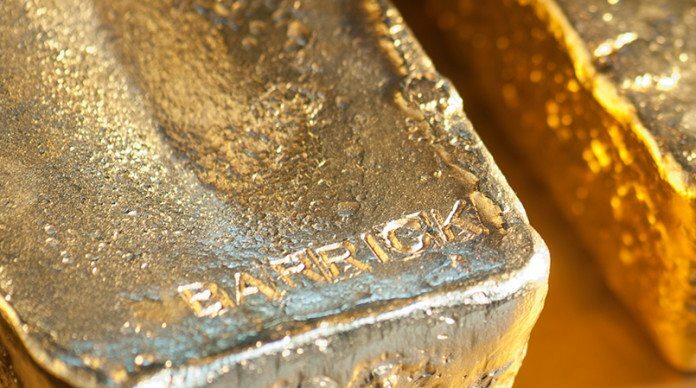 Barrick Gold, which owns 63.9% of Acacia Mining, has attempted to broker a peace pact, the outcome of which remains unclear whilst it sees through a merger with Randgold Resources, the CEO of which – Mark Bristow – is the CEO-in waiting at Barrick. Bristow has told Miningmx and other media that he intends to resolve the dispute. One possible solution would start with Barrick buying out minority shareholders in Acacia so that when it negotiates with the Tanzanian government, it does so directly. Said Dinning: “I would like to acknowledge the current management of Acacia for their pragmatic approach to negotiating a mutually beneficial outcome that will facilitate development in the region. Sarama looks forward to framing up the development opportunity and re-commencing exploration work which will focus on attractive oxide and free-milling targets in the greater project area”. Previous articleGuinea signs $3bn development agreement to expand bauxite footprint.